I don’t believe in New Year’s Resolutions. I am sure most people agree and would never ask why. But just in case you are wondering, it is because they do not work. It seems as though a sure way to make sure you do not accomplish something is to make it a New Year’s Resolution. With that said, my decision to go sugar-free was NOT a New Year’s Resolution. I am simply resolved. The decision was based on a number of factors. The first, and most obvious, is for health reasons. The second reason is because I’ve been convicted of it. I’ve known for a long time that I’ve need to quit eating so much sugar. I just haven’t been convicted before now. The conviction came slowly (probably because I didn’t have ears to hear, therefore I shut it out). But one verse kept coming to my mind, “What? know ye not that your body is the temple of the Holy Ghost which is in you, which ye have of God, and ye are not your own? For ye are bought with a price: therefore glorify God in your body, and in your spirit, which are God’s,”(1Co 6:19-20). So, in order to “quit eating so much sugar” I had to decide to quit eating ANY sugar. I know that many people can just cut back but for me it is really easier in the long run to just simple not eat any. So I decided a little over a month ago that I would go sugar-free. Now, I’m a realist; therefore, I decided to wait until after the holidays. Today I am on day ten. It hasn’t been too difficult so far. At church on Sunday I simply skipped over the dessert table. I was a little concerned at my Homeschool Group’s Mom’s Night Out this week, there were so many delicious looking desserts but I focused on fellowshipping with other mom’s and was able to do without. One night this week the children made milkshakes. I just made a fruit smoothie. It was not only easy but tasty. Here’s the recipe ifyou would like to try it. Blend together in a blender. If you like you can add a few packets of Splenda or sugar substitute. My son asked me how long I was going to go sugar-free. Remember, I’m a realist. At some point I will most likely eat some sugar. 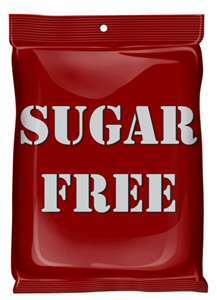 But for now I am sugar-free and to how long I will go without sugar, I am simply not resolved. Congrats and all the best in your quest for health~it’s definitely a journey we should all undertake! Good for you! I have felt convicted to change eating habits to be stronger for what I need to do:) I have not given up sugar, though–glad it is working for you. I have to be sugar free also. If I eat a little I want more and end up adding it back in. I hope you are still doing well. I’m visiting from the crew blogwalk. I’m doing good Briana. Today makes day 33!